Also is available in PDF format from Software Diagnostics Technology and Services. The full transcript of Software Diagnostics Services training with 14 step-by-step exercises, notes, and source code of specially created modeling applications. Learn live local and remote debugging techniques in kernel, user process and managed .NET spaces using WinDbg debugger. The unique and innovative course teaches unified debugging patterns applied to real problems from complex software environments. 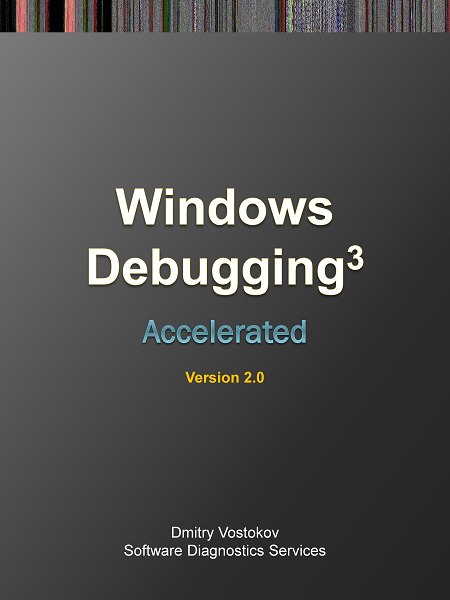 The second edition was fully reworked and updated to use the latest WinDbg version and Windows 10.